A lack of essential vitamins and minerals in the diets of freshwater and saltwater fishes and invertebrates can lead to health problems, a common one in fish being head and lateral line erosion disease. 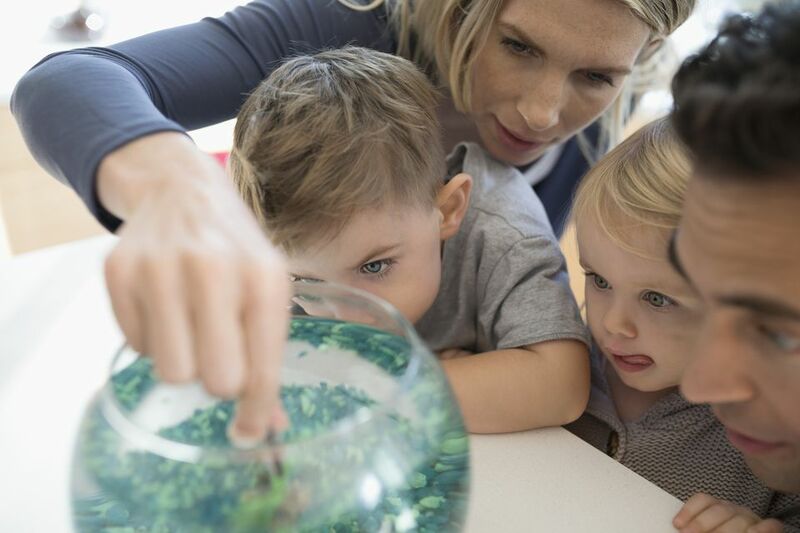 An easy way to ensure your aquarium inhabitants get what they require in their diets is to use concentrated liquid vitamins that are high in omega-3 fatty acids and marine lipids, spirulina and kelp, and other natural nutrients. Here is a list of specially formulated, popular liquid vitamins that can be used to soak foods, fortify live foods, prevent and treat injuries or illnesses, particularly HLLE, and more. 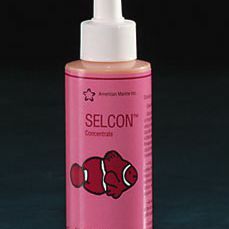 Selcon does not alter water chemistry, contains no yeast, phosphate or nitrate. It is an excellent product of choice for treating aquarium fishes inflicted with head and lateral line erosion disease. Zoe Marine provides a boost in other bio-available vitamins and minerals as well. Marine-C can be used as a daily supplement to help correct vitamin C deficiencies in ornamental marine organisms, and although not a medication, it can also be used when treating damaged or sick fishes and invertebrates to give a boost to their immune system. This product is particularly useful when fragmenting and propagating hard and soft corals. Vita-Chem aids in fin regeneration, preventing and treating HLLE. This product can be used as a food fortifier or added directly to the aquarium. It contains over 30 naturally occurring extracts bonded with amino acids and touted to provide more active Vitamin C than any other fish vitamin. Reef Plus contains vitamins, including C and B12, plus amino acids, fatty acids, and other trace components that give a positive impact on the growth of desirable reef organisms. It is nitrate and phosphate free. This product is added directly to the aquarium water, and MUST be refrigerated after opening. Designed to help renew or pique the interest of poor or finicky eaters, although Seachem Garlic Guard also contains Vitamin C. It is freshwater, marine and reef aquarium safe. Who would have ever figured adding garlic extract to a fish's diet would be beneficial to its health? Combined only with citric acid and ascorbic acid as preservatives, Garlic Xtreme is so highly concentrated that only two drops per teaspoon of fish food each time you feed is needed, or it can be added directly to an aquarium at the rate of 1 drop per 10 gallons. It is safe for all species of marine and freshwater fishes and plants, live corals, and other invertebrates. The aroma of this product is really strong, so if you use it, it helps to be a garlic lover.